Welcome to Americas Best Value Inn of Holyoke/ Massachusetts. Our hotel is close to the Connecticut River/ Childrens Museum at Holyoke/ Six Flags New England/ Yankee Candle/ Naismith Basketball Hall of Fame/ and the Big E. Take advantage of outdoor adventures and astonishing landscapes at Mt. Tom/ Holyoke Heritage State Park/ Mountain Park/ and Stanley Park. Indulge in seasonal sports at Fitzpatrick Ice Skating Rink/ Fun Time Lanes/ or Ledges Golf Club. Our hotel is conveniently located near many colleges including University of Massachusetts Amherst/ Smith College/ Mt Holyoke College/ Holyoke Community College/ College of Our Lady-The Elms/ Hampshire College/ and Amherst College. Sample a taste of New England at any of the local restaurants including The Log Cabin/ Delaney House/ and Friendlys. Americas Best Value Inn Holyoke offers state-of-the-art amenities/ a convenient location/ and a helpful 24-hour front desk staff. Stay connected with free wireless high-speed Internet access available throughout our hotel and guest rooms. Take a breather in the privacy of your own guest room with amenities including a microwave/ mini-fridge/ flat screen TVs with satellite and HBO/ iron/ ironing board/ desk with lamp/ table with chairs/ alarm clock/ radio/ and free local calls. At Americas Best Value Inn Holyoke/ Weve Got You Covered from the time you hit the road until your head hits the pillow. 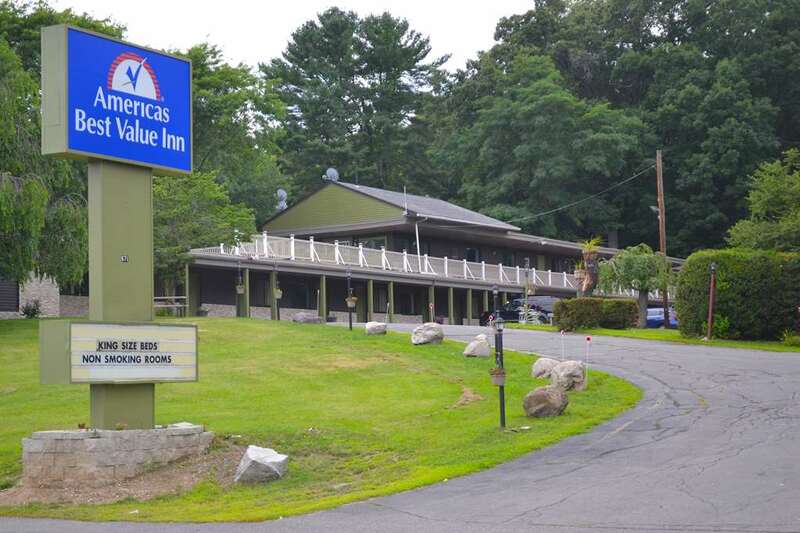 Americas Best Value Inn Holyoke is located off of I-91 W via Route 5. Our address is 671 Northampton Street/ Holyoke/ MA 01040.